Does the pyrolysis of scrap tyre pollution the environment? The process of pyrolysis of scrap tyres helps in saving the environment. The oil is filtered before being use as the heating oil. 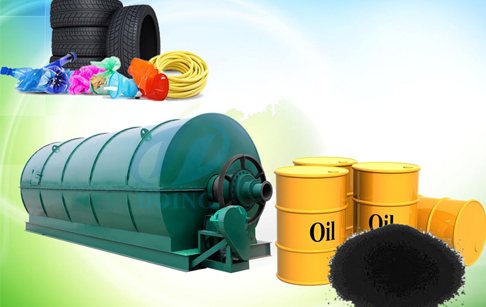 The tyre pyrolysis oil is a type of light fuel oil that is a non-viscous liquid. Prev:Tyre pyrolysis oil properties ? Next:What is pyrolysis plant and what is pyrolysis process? If you wanna to get more details about Does the pyrolysis of scrap tyre pollution the environment? you can send E-mail to market@doinggroup.com. You can consult our professional engineer and specialized sales team with leave a message in below form.We will contact with you ASAP.You also can visit our factory in Henan,China.Get Detailed address.